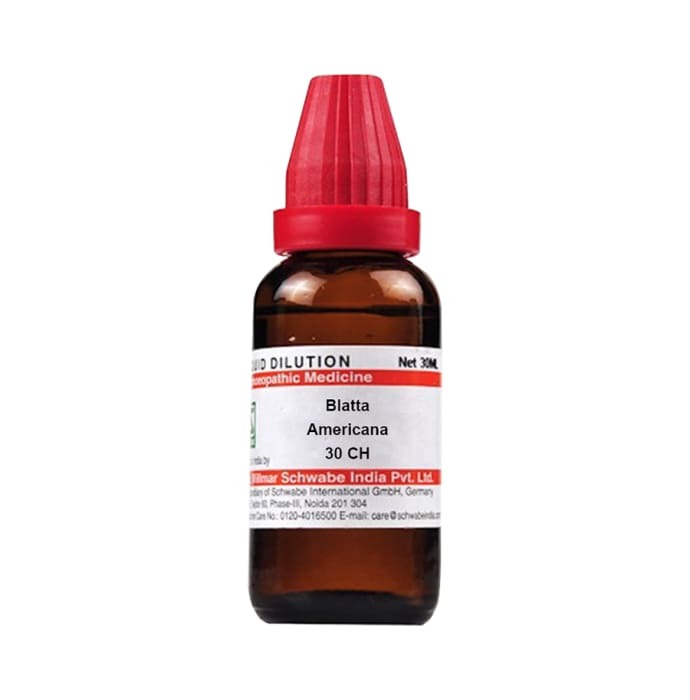 Dr Willmar Schwabe India Blatta Americana Dilution is a homoeopathic medicine of various dilutions that is primarily useful in treating breathing difficulties, oedema and liver diseases. It is also used for treating burning pain in the urethra while urinating. Take 3-5 drops 2 or 3 times a day or as directed by the physician.